[www.inewsguyana.com] – Kirk Edwards and Dwayne Bravo starred in a West Indies fight back that drew their 5 match One Day International series 2-2 last evening in Hamilton with a 203 run win. Edwards hit his maiden One Day international (ODI) hundred with a blistering 123 while skipper bravo dismantled the New Zealand bowling to post double figures (106) in a win that overwhelmed the hosts. Opener Kieran Powell opened the innings in style by clobbering a 44 ball 73 starting off an assault that would soon end on 363 for four, their highest ODI total. The Black Caps had no answer to an outfit on fire and imploded for 160 in 29.5 overs. New Zealand never built momentum in their run chase as the five frontline batsmen were dismissed with the score on 65. The big-hitting Corey Anderson was caught on 29 as the Black Caps tumbled to 94-6 while Kyle Mills led some lower-order resistance before he was run out for 26. Left-arm spinner Nikita Miller finished with 4-45, while Bravo followed up his century with a miserly 1-12 off five overs to be named man of the match. 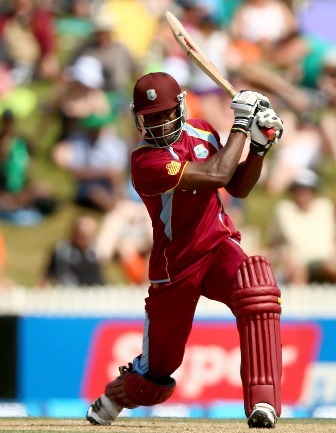 Jason Holder and Andre Russell each picked up two wickets. The two teams now play a two-match Twenty 20 series starting in Auckland on Saturday.